Employees at La Londe Electric recently spent a day honoring those who served in the military. 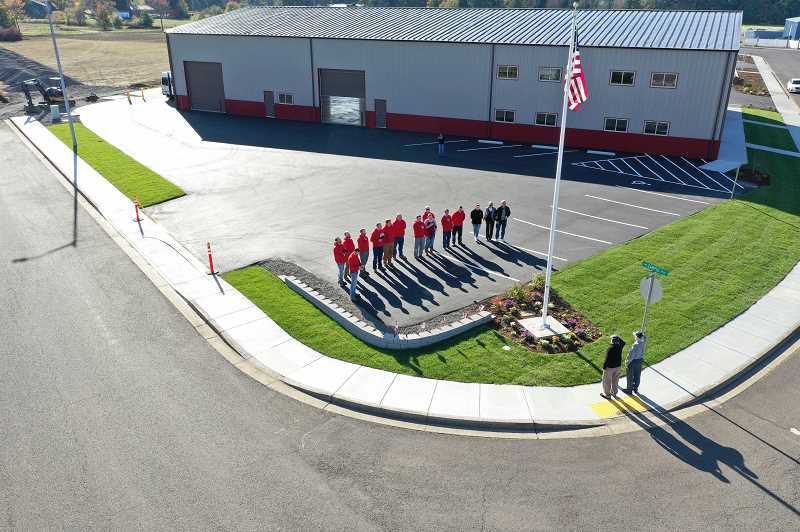 On Monday, Nov. 12, Bruce La Londe raised the company's flag pole at its new location in the Estacada Industrial Park. La Londe raised the flag pole in honor of his father, Keith Allen La Londe, who served in the U.S. Navy for 10 years. Later that day, Dennis Dahrens and John Neider of the Estacada Area Support Our Troops foundation raised an American flag onto the pole. Sabrina La Londe said, "this was a very special day for our company and we are grateful for all the servicemen and women who selflessly serve our country so we can pursue the all American dream."